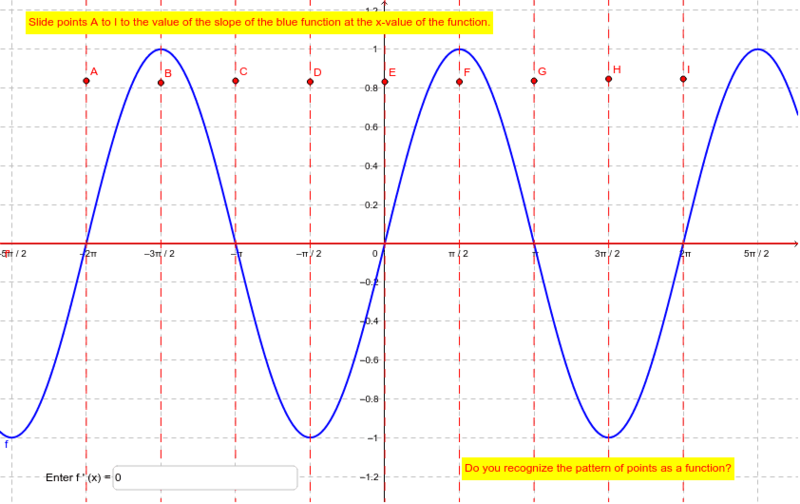 Lab: Estimate the derivative of the sine function. Look at the sin(x) and estimate the slope of the tangent at each of the x-values of the vertical red dashed lines. Slide the points A to I to your estimates. Do you recognize the resulting function? Enter this function for f '(x) to verify your conclusion.